Coping with hotter summers: the challenge for our electricity system from Melbourne Energy Institute on Vimeo. Climate change means that we are facing hotter summers. 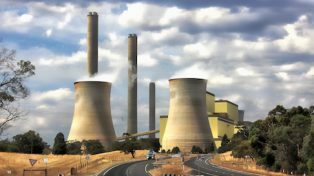 As homes and businesses switch on their air conditioners on a hot summer afternoon, power stations must ramp up production to meet the peak demand. The owners of the ‘poles and wires’ have been planning and building for years to ensure our power networks will cope. If any part of the system fails, blackouts can occur, with severe consequences for people and businesses. 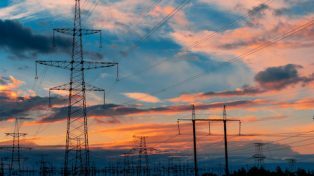 With so much at stake, what can we learn from how electricity demand patterns have changed in recent years and what does this mean for the future of peak demand? How might our expectations or the power system need to change in the face of a changing climate? And how will the system cope when more of our power comes from wind turbines and solar panels, which cannot always operate at full capacity at the times when more power is needed? 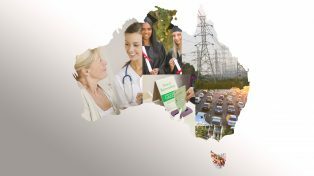 On 30 April, as part of the ‘Energy Futures’ series, the Melbourne Energy Institute and Grattan Institute will co-host a public forum on the future of peak demand in Australia. Lucy Carter is the Energy Fellow at Grattan Institute. Lucy has a wide range of experience within the energy sector. She has worked for major power companies in Australia and Hong Kong and as an investment advisor with a focus on power assets and infrastructure. She holds a Master of Applied Finance, a Bachelor of Electrical Engineering with Honours and a Bachelor of Commerce from the University of Melbourne. Lane Crockett is the Executive General Manager, Australia at Pacific Hydro and has been responsible for managing its Australian business for more than five years. Lane is also a director on the Board of the Clean Energy Council. Lane has over 30 years of international experience in the energy sector in Australia, Asia, the UK and New Zealand. He has worked in utilities regulation, managed the performance of electricity and gas alliance contracts and has led engineering, procurement and construction projects in the oil and gas and petrochemical industries. Professor David Karoly is an Australian climate scientist and academic. He is an expert in climate change, stratospheric ozone depletion and climate variations due to the El Niño-Southern Oscillation. Karoly has served as a lead author for the Intergovernmental Panel on Climate Change (IPCC) and is a Professor of Atmospheric Science in the School of Earth Sciences at the University of Melbourne and the ARC Centre of Excellence for Climate System Science. He is also a member of the board of the Climate Change Authority. Julian Turecek is the General Manager of Wholesale Market Operations at Energy Australia. He has two decades of commercial experience in the energy and greenhouse markets, having worked for major Australian corporates such as BHP Petroleum and Origin Energy. His experience includes trading spot and contract electricity and gas, setting up Origin’s Carbon Markets desk, working in policy and government affairs focusing on energy markets and climate change policy, four years in venture capital specialising in the cleantech sector, and more recently running the trading and marketing group at Loy Yang Power.